Many budding entrepreneurs in New York are opting for IT Managed Services for their business. Investment in IT Managed Services is one of the best investments a company can make to improve its revenue. Companies are increasingly becoming dependent on IT in an effort to stay ahead of the competition. So it becomes essential for companies to hire expert IT Managed Services New York, who can handle the regular maintenance of your IT infrastructure. It is not feasible for most small and medium business to hire a full time qualified IT administrator. In such situation taking service of IT Managed Services New York makes better sense, since it allows you to concentrate on your core competence of your business. Hiring an IT Managed Services New York ensures that all the IT operations of your organization are handled by highly qualified and knowledgeable provider. It also ensures that ongoing responsibility for monitoring, managing and trouble shooting of selected managed IT system is taken care off on yiur behalf by an expert team. Here are some of the benefits of hiring IT Managed Services New York. If you are not an IT expert, you will probably have to hire an IT expert or a consultant on a full time basis to handle the IT affairs of your organizations on a day in and day out basis. This is going to be an extremely expensive preposition for a medium or a small scale enterprise. More over the downtime and computer outage in your business may also severely impact and cost your business more in the long run than outsourcing the entire IT management for a low cost. At least as far as the cost related to IT management is involved, your company is certain about the cost it is going to incur. 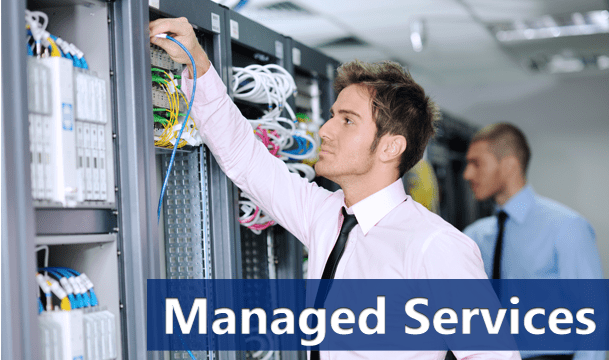 IT Managed Services New York offers choice of service levels which may be priced on a per-month or per-device basis. Outsourcing your IT management needs doesn’t mean you are surrendering complete control of your IT infrastructure. You reserve the right to decide which aspect of your network will be managed by the outsourced IT Company and what you can handle yourself. Moreover you are always kept informed about the process and the management of your systems. When you hire IT Managed Services New York, you get the support whenever you need it. Hiring an IT managed service doesn’t mean that you will have to wait in line when there is a problem knocking at the door. It gives an extreme sense of control and peace of mind when you know your entire IT system has been managed by the team of experts. Having the IT system in the hands of experts assures that there is someone all the time closely managing the entire IT stuffs so you can run your business without bothering yourself with the nitty-gritty of the technology. IT experts make sure there is no outage, so it is actually very rare that you will find any breakdown. If at all there is a breakdown, they make sure that not only it is fixed, but they also work on the reason that caused the outage. Communication infrastructure has become every crucial as the appetite for improving our lives and our businesses continues to drive forward. There has been a steep upward curve in the demand for data and voice network solutions in the past few years. Organizations small and big alike will need an information system strategy to support its operations. This is where structured Network Cabling New York plays a key role. 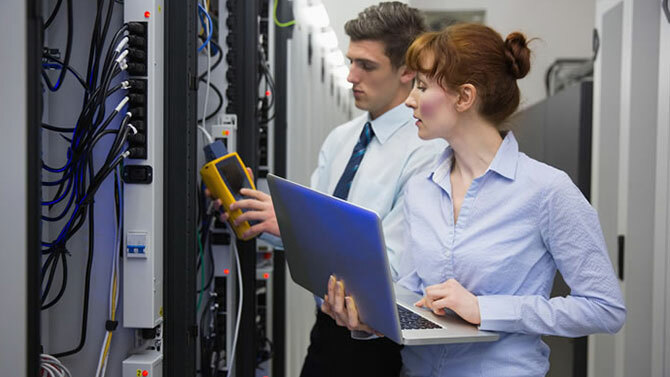 Alpha Computer Group, a specialized IT company based out of Long Island, New York has helped scores of organizations implement Structured Network Cabling at their workplace. Alpha Computer Group also provides range of services including Computer Repair Long Island, Business IT Support for Long Island, IT Consultants Long Island, Managed IT Services Long Island, VoIP Phone Systems Long Island, Laptop Repair Long Island, IT Network Support Long Island and Telephone Systems Long Island. Structured Network Cabling is a term coined to indicate single flexible cabling infrastructure that can link together multiple computers and other devices such as phones etc. Structured Network Cabling makes use of specialized socket which is strategically installed at places where you can easily plug in your devices. The cables coming from different workstation are connected to a central communication network cabinet. Building a competitive IT infrastructure is crucial to overall information strategy that can ensure success. Structured Network Cabling minimizes enterprise workflow issues and network downtime issues to a large extent. Here is a list of some of the benefits of Structured Network Cabling New York. This is one of the most important aspects. Variety of devices presents unique business environment challenge to implement a strategy that will support all of the devices and connect them together. Implementing structured Network Cabling is a step towards simplifying your office network by making it consistent and flexible. Structured Network Cabling can be adapted to the growing needs of your business. So for example if you are about to install a new device, you will be able to do so without additional cost or without worrying about its integration to the existing IT infrastructure. Structured Network Cabling provides a single point for all administrative and management requirements. Not only it is cost effective, but it is also much easier to make changes instantly. Structured Network Cabling involves only one time single investment on cabling infrastructure which supports devices and applications from multiple hardware vendors. Structured Network Cabling offers opportunity to isolate faulty system or network issue and easily fix them. In the Structured Network Cabling, the entire infrastructure is divided into manageable blocks which make it easy and efficient to test and detect faulty system without causing any hindrance to other devices of the network.